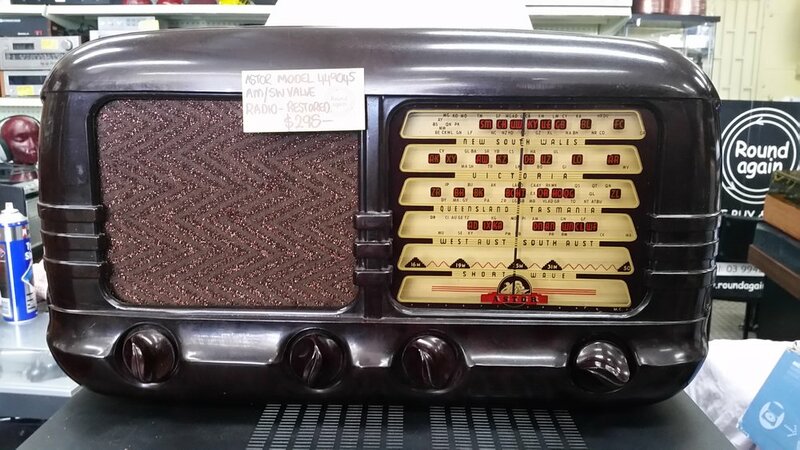 This radio is in very good original condition,no damage or marks,has been recently serviced and works as it should..beautiful vintage sound! The Epiphone Studio Acoustic 15C is a power-perfect 15 watt amp with a specially designed 8” speaker in a closed-back cabinet. The amp includes 2 inputs—both a ¼” instrument cable input and an XLR (mic) cable input with individual volume controls for each channel as well as a ¼ headphone input--features rarely found on a small amplifier. And, the Epiphone Studio Acoustic 15C also includes a switchable chorus effect with chorus speed. We always have a range of other equipment in stock such as graphic equalisers and tuners,come on in to see what is currently in stock or give us a call.